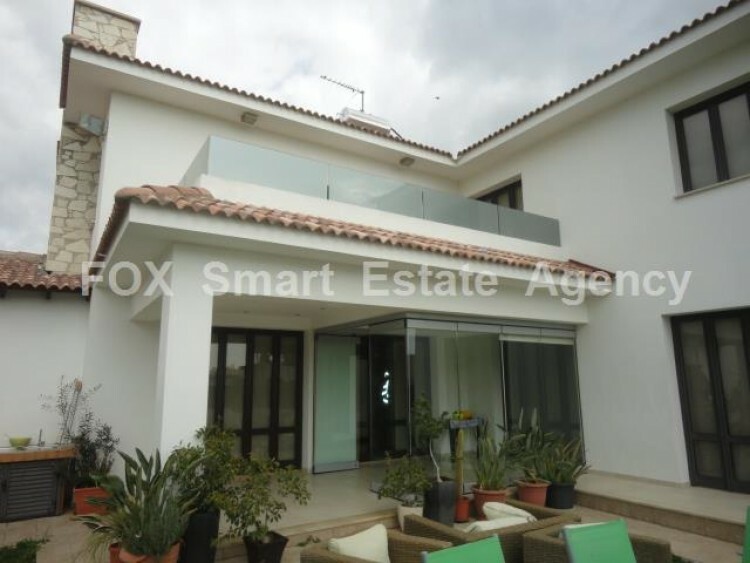 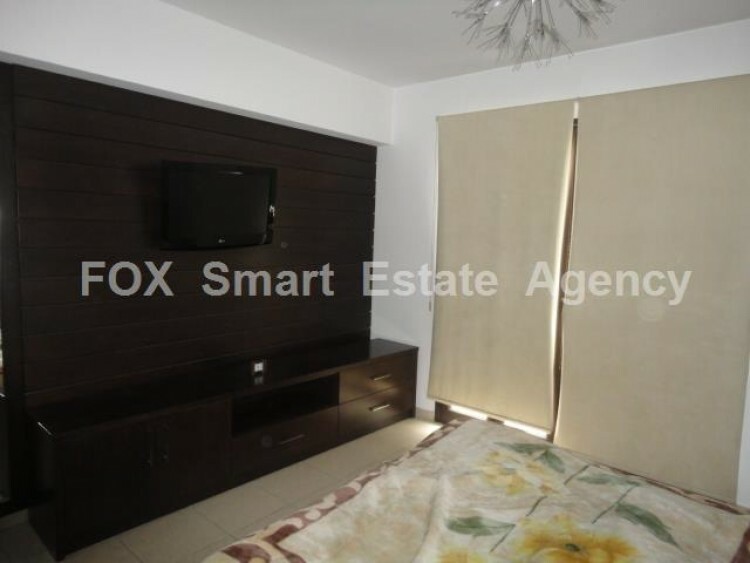 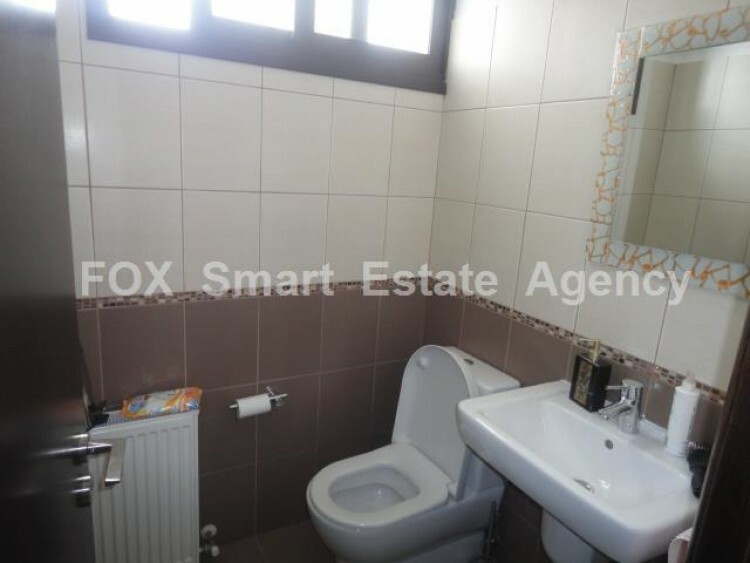 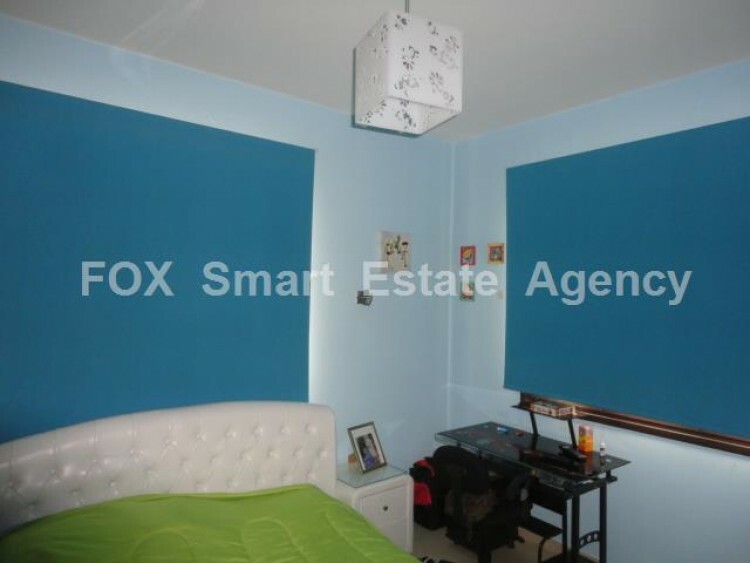 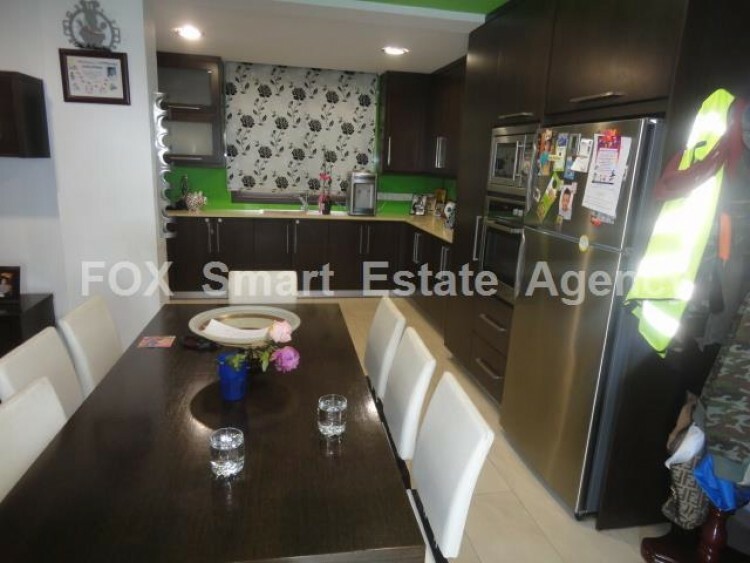 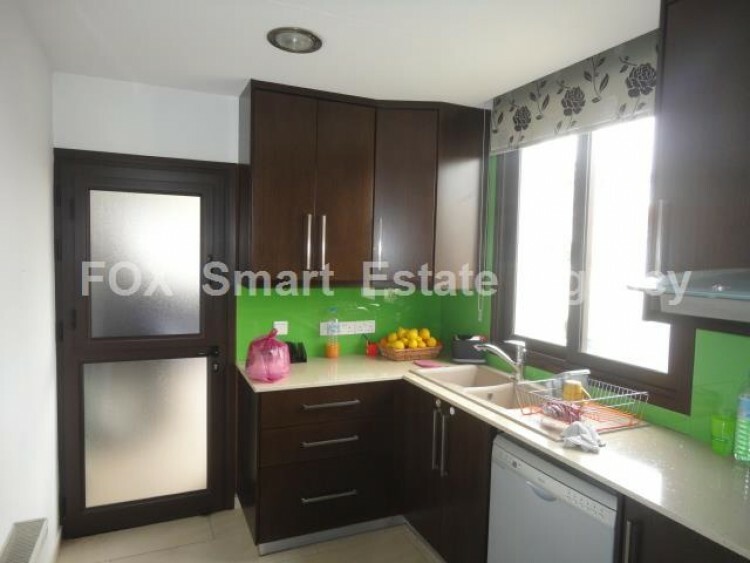 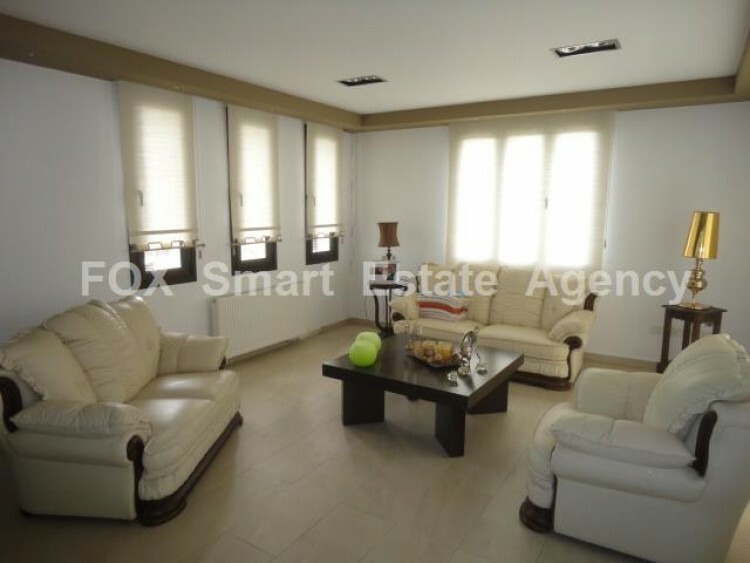 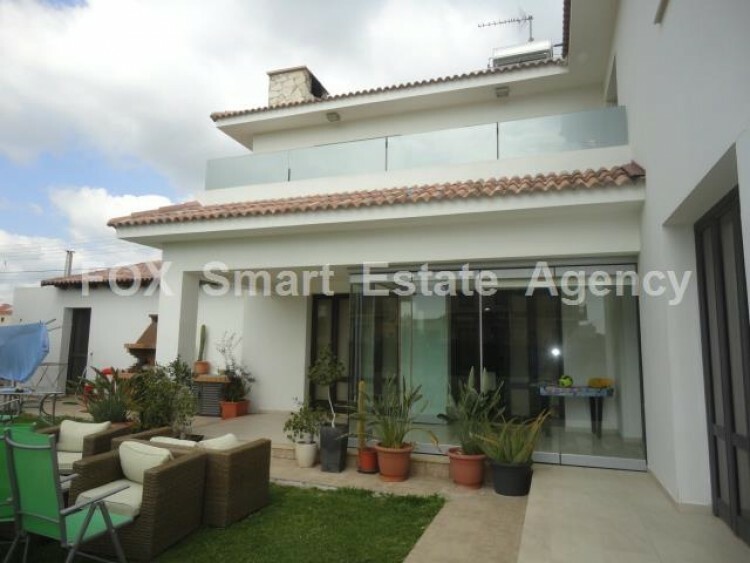 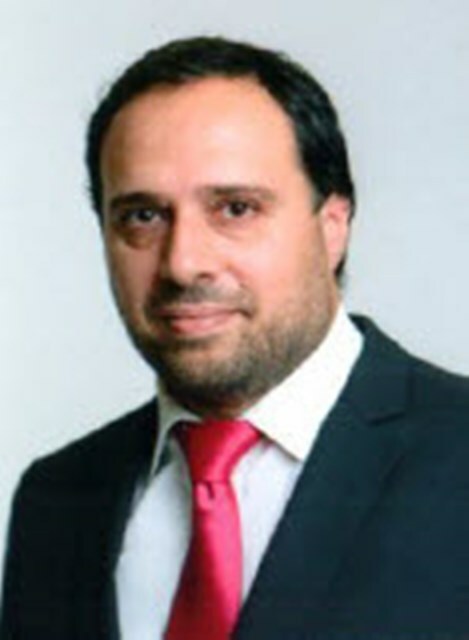 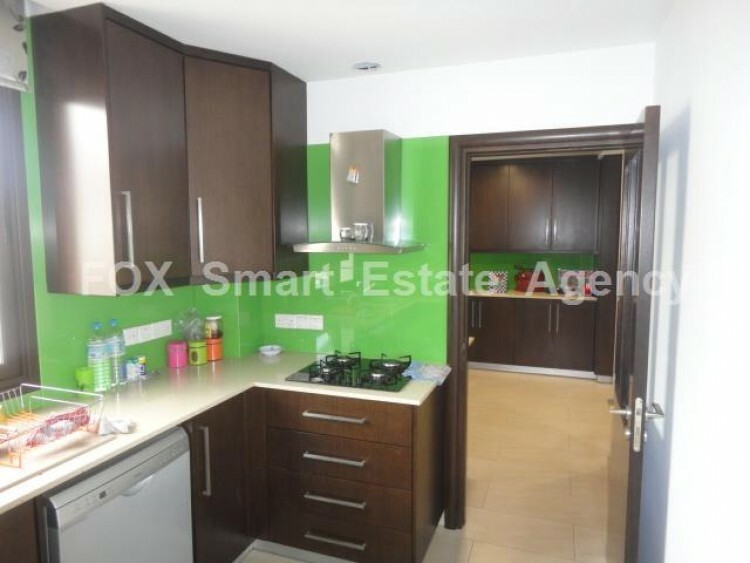 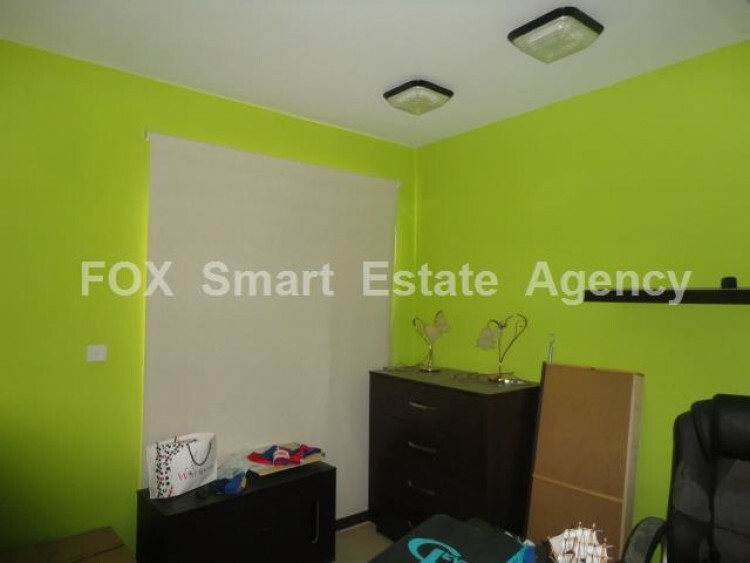 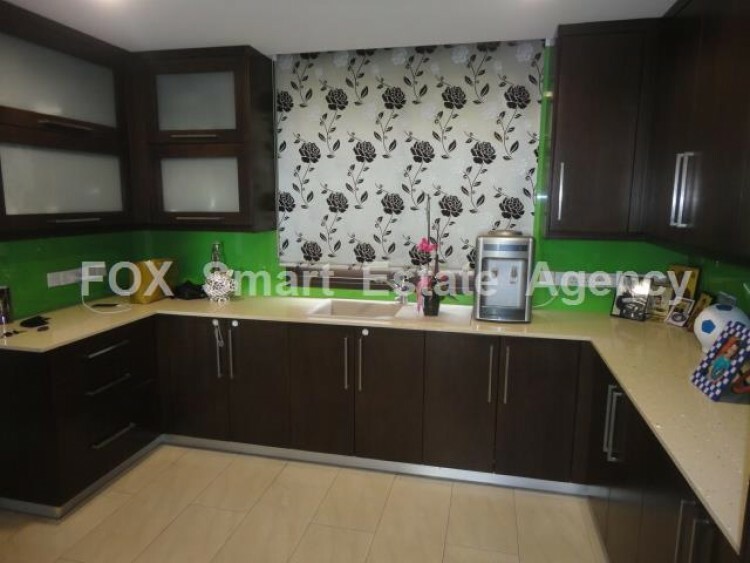 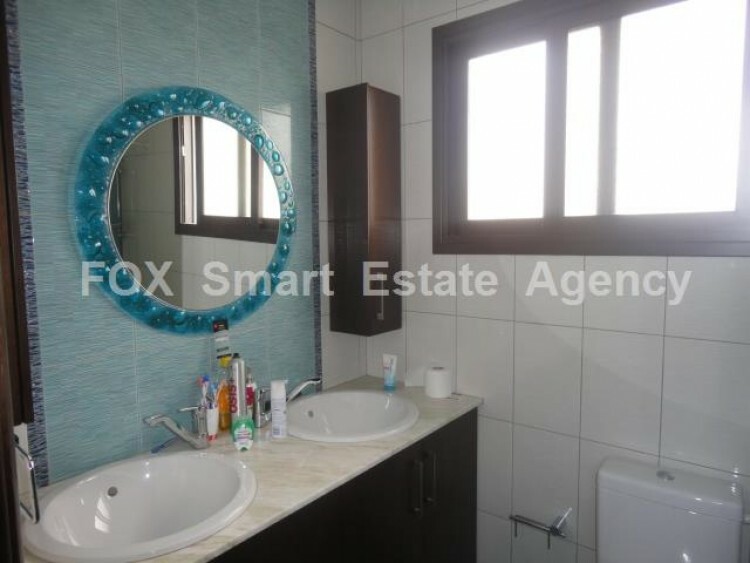 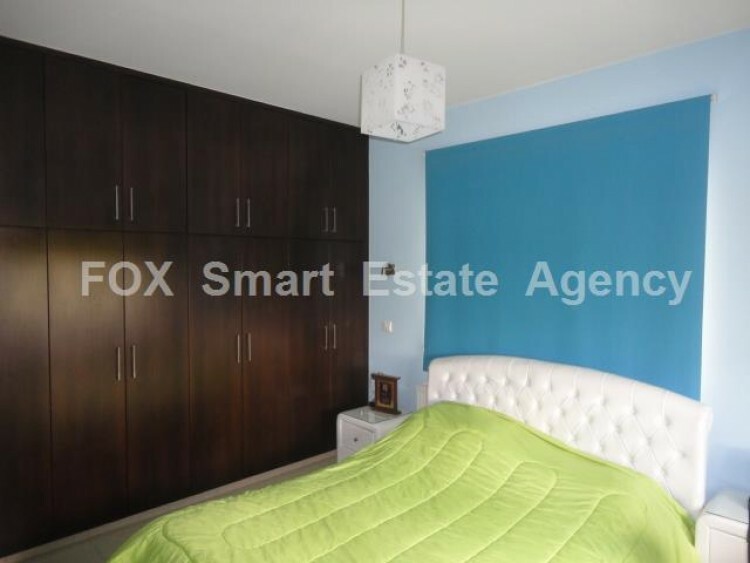 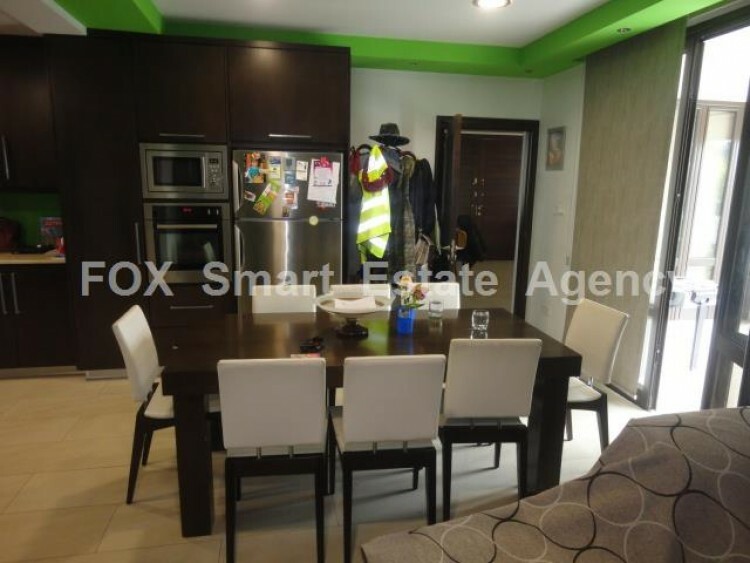 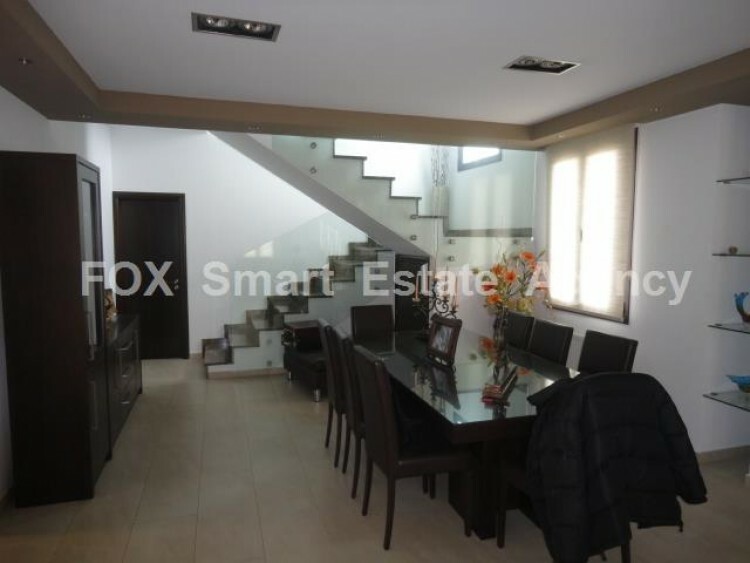 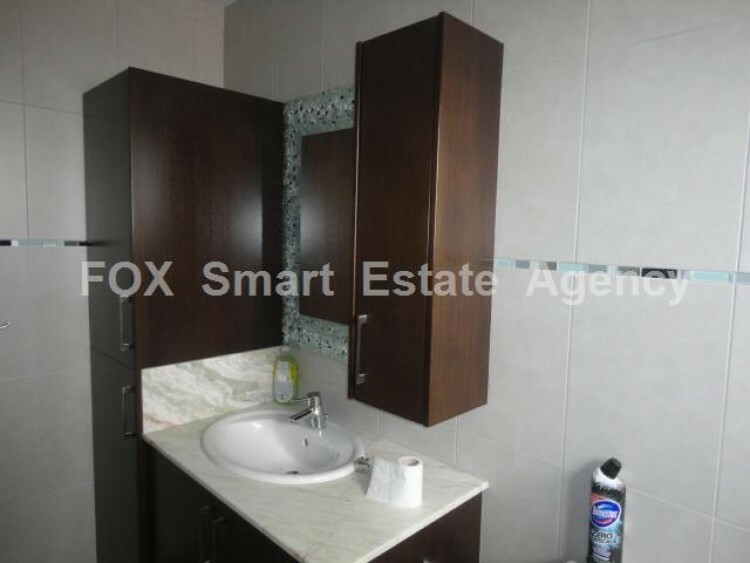 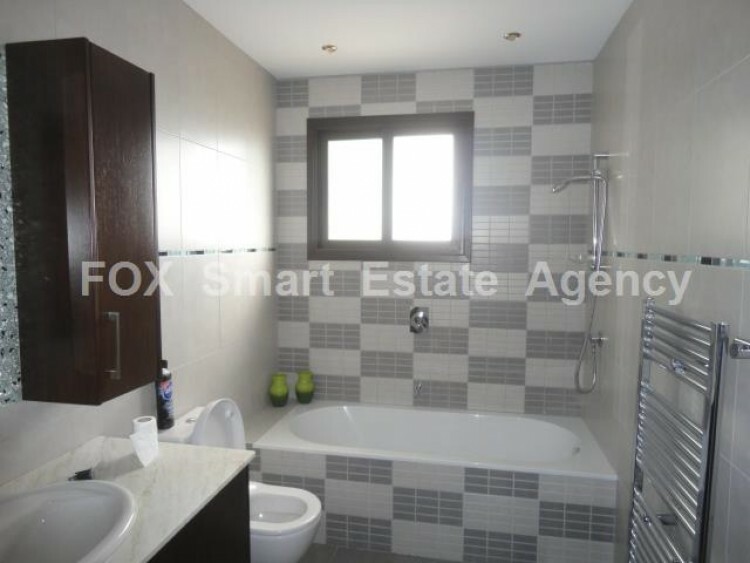 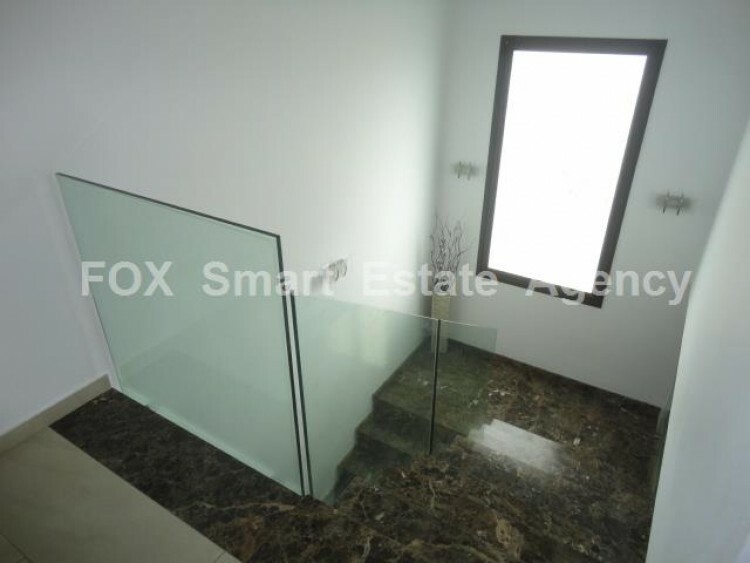 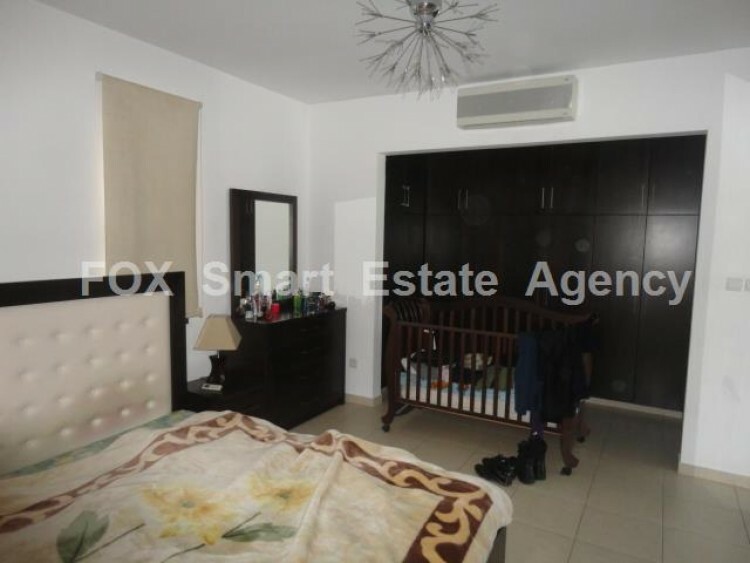 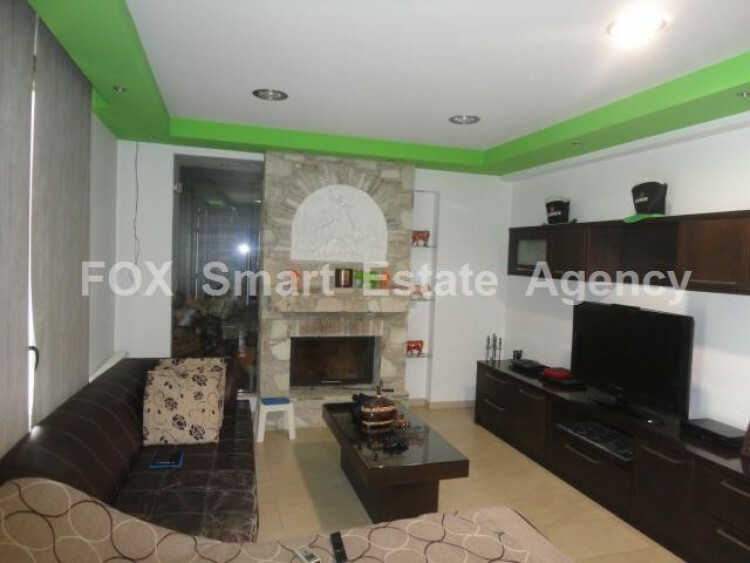 This is a luxury four bedroom detached house in a quiet residential area of Aradippou just 2 minutes drive to the main Aradippou round about with easy access to Larnaca town, to all highways and to all amenities, schools, supermarkets, pharmacies, etc. 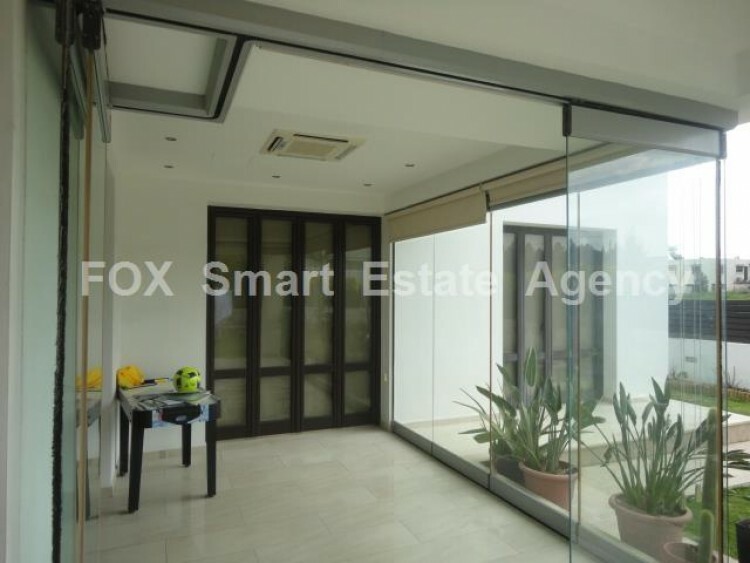 The ground floor of this luxury house consists of a large living room and a formal dining room, an open plan kitchen with a dining area and a living area, a guest toilet, a kitchenette, covered and uncovered verandas, yards and gardens along with swimming pool provision. 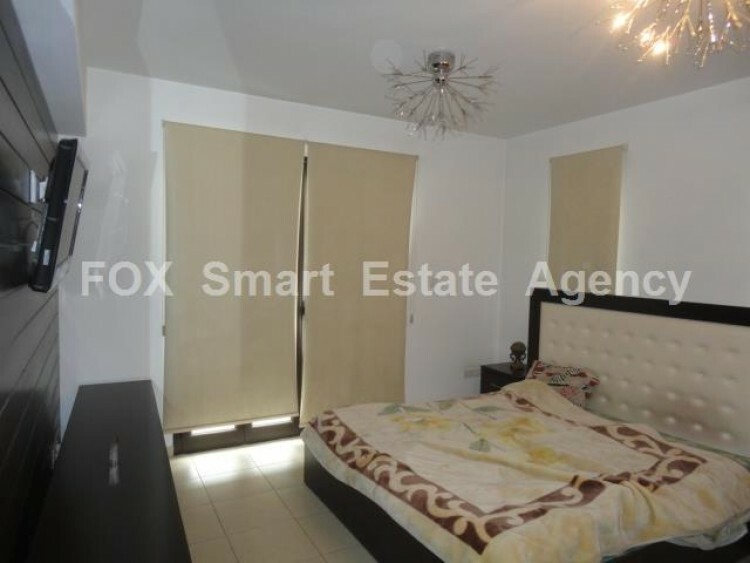 Upstairs there are one large master bedroom with en-suite bathroom, another three large double bedrooms and one family bathroom. 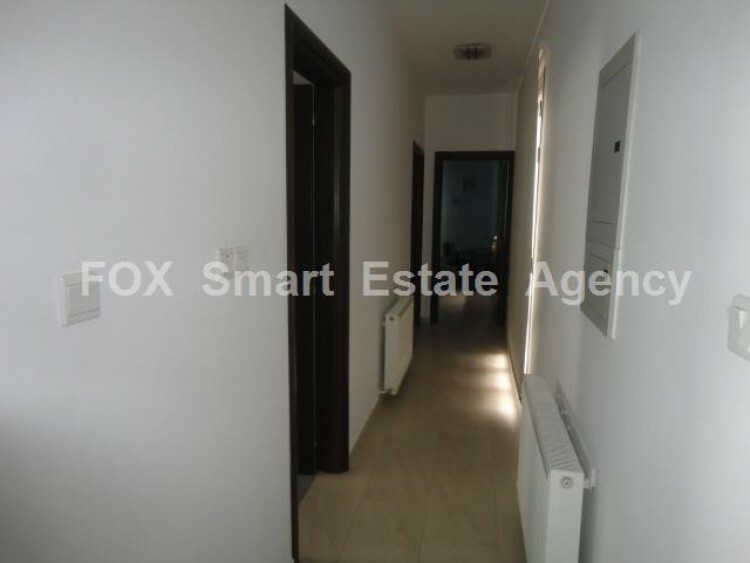 At the side of the property there is a double covered parking space along with a store room and a boiler room for the central heating. 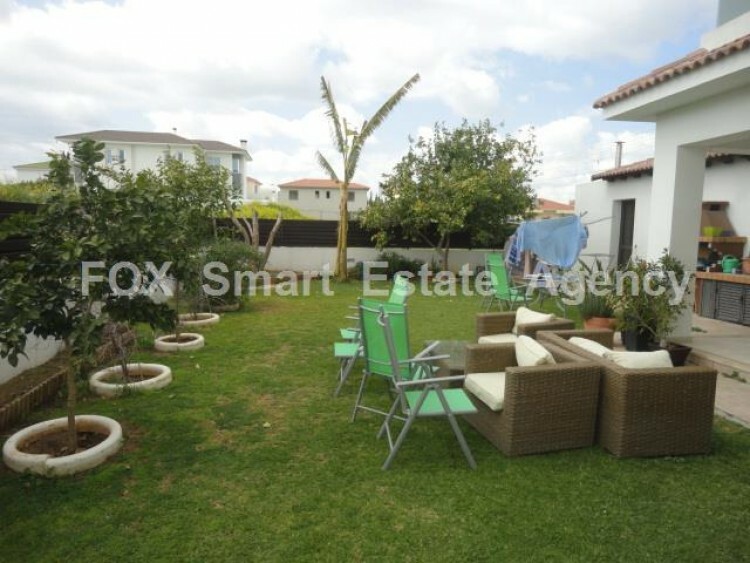 The house has high quality finishes in all areas and is offered fully furnished with A/C and central heating in all areas.